Business Owner’s Manual is a book talking about how to start a business in the U.S. It is a translated version of Business Owner’s Manual edited by ZCCA. This manual contains a total of 160 pages, about 100 thousand words. It mainly introduces 10 things that people must know to start a business in the U.S., which are company establishing, business planning, address choosing, employer guiding, business financing and many other things. Since Business Owner’s Manual was published in Sept., 2012, the Manual has great influence in the U.S. and in China. Many Chinese media reported the presentation, including World Journal, Sing Tao Daily, Qiao Press etc. 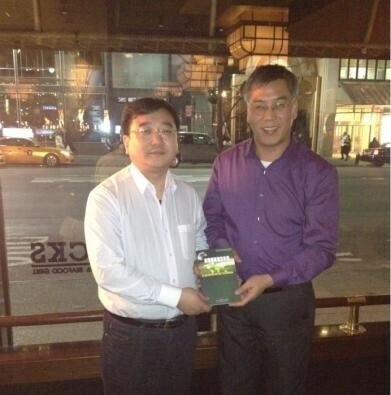 In China, ZCCA has established contacts with 14 provinces and cities, and presented Business Owner’s Manual.